The AMX-2A, AMX-4A and AMX-4B are high-performance audio mixers. They all share the same base circuit board, as indicated by the similarity of their schematics. The original physical designs were crafted to fit into slightly modified standard DB-25 connector backshells. The resulting products weighed only a few grams and occupied very little space. Similarly, the ASX-2A and ASX-2B share a base circuit board design. 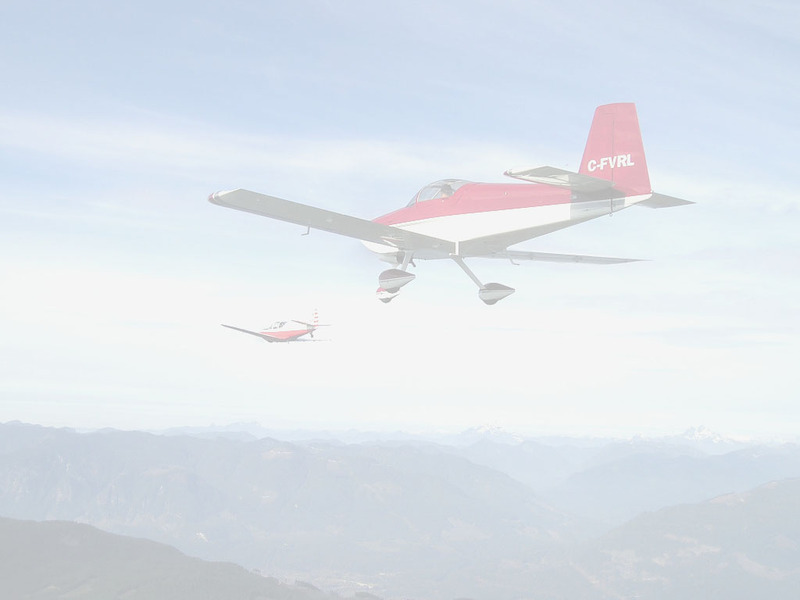 These designs provide the capability of adding high-fidelity music into a standard aircraft intercom system. They support auto-mute, which is the capability of automatically muting music audio when communications audio is active. The ASX-2B provides an additional interface to allow voice communication on standard cell phones or music phones (combined cell phone and music player). Although designed for aircraft use, these circuits are universal in their applications, working from a power supply of up to 30 volts, and driving loads as small as 32 ohms impedance. The wide bandwidth of approximately 40 Hz to 15 KHz (-1dB) makes these devices idea for high fidelity applications. 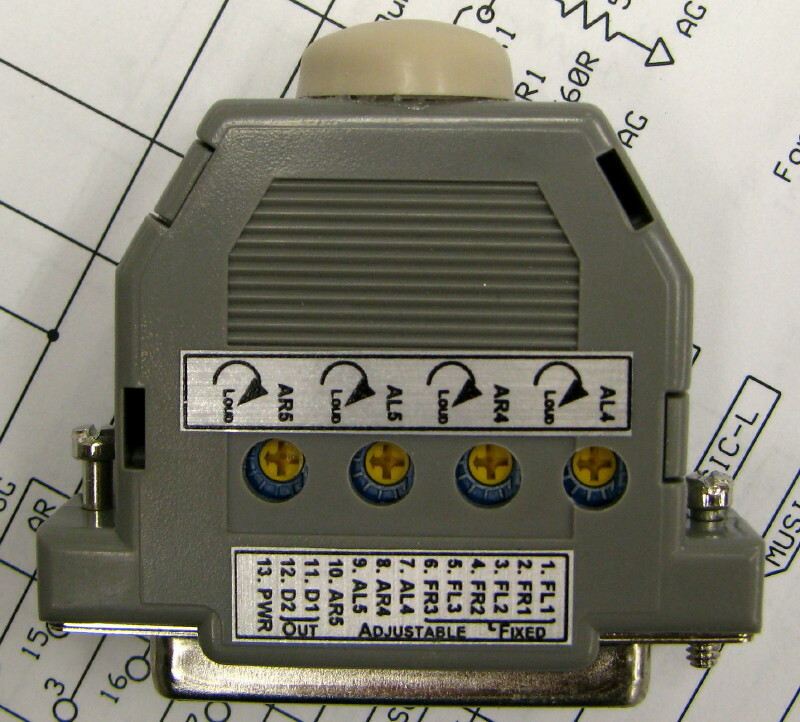 The AL-1A is an alarm tone annunciator that can be used to generate tones in an aircraft audio system when a switch closure (high or low) is sensed. The AMX-2A device is a 10-channel audio mixer and headphone amplifier for aircraft applications. It functions as a mini audio panel for combining various communications, navigation, alarm, warning and other audio sources, amplifies them and provides a seamless interface into common intercom systems. Four of the ten audio inputs have volume controls that are screwdriver adjustable, while the other six are fixed level for connection to instruments that have their own volume adjustment capability. The output is designed to drive headphone busses directly and has a unique capability of combining the audio from a primary comm transceiver onto the output in a fail-safe fashion. It is compatible with all intercom systems, including those that do not provide an auxiliary input. The flexibility of the device allows for use as an audio mixer, as a headphone amplifier or as a combination of both as the application requires. AMX-2A, packaged in a D-SUB 25 connector shell. The AMX-4A/4B device is a 5 channel stereo audio mixer for aircraft applications. It is similar to the AMX-2A mono mixer, except for the provision of stereo left and right outputs. Connecting the two outputs together allows the device to be used in monophonic applications. Two of the five stereo audio inputs have volume controls that are screwdriver adjustable, while the other three are fixed level for connection to instruments that have their own volume adjustment capability. The AMX-4A is capable of driving up to 3 volts peak-to-peak with a nominal gain of 3 dB (unloaded), while the AMX-4B is capable of driving up to 12 volts peak-to-peak with a nominal gain of 15 dB (unloaded). AMX-4A or AMX-4B, packaged in a D-SUB 25 connector shell. 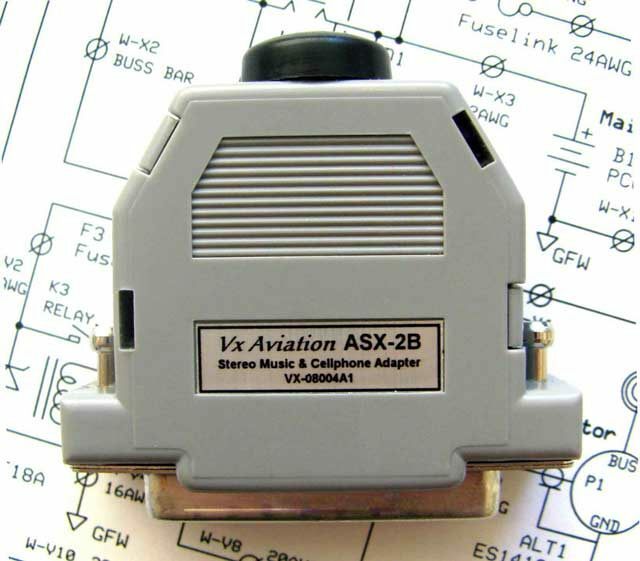 The ASX-2A device is a stereo headphone music amplifier for aircraft applications. It connects to portable music players or panel-mounted music sources and adds high-fidelity stereo music to existing monophonic audio installations. Using advanced BiCMOS amplifier technology, it provides better frequency response, lower noise and lower distortion than the common 1970s vintage bipolar amplifier designs commonly used. Music is automatically muted to a low level when communications audio is detected. This allows normal radio communications, alarms and intercom audio to be heard normally without interference from the music source. The device will drive headphones with a minimum of 32 Ohms impedance, making it compatible with portable music player headphones as well as standard 300 Ohm aircraft headphones. The amplifier has a nominal gain of 2 for the mono inputs and a nominal gain of 5 for the stereo music inputs. When connected to 300 Ohm impedance loads, the amplifier provides rated music power over the frequency range of 40 Hz to 15 KHz. 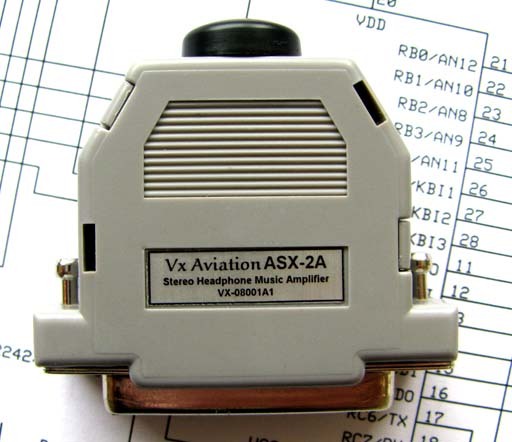 The ASX-2B device is similar to the ASX-2A, but adds a cellphone/musicphone interface, selectable automute and works with stereo or mono comms input. Cellphone communications are not muted, but are mixed with primary communications audio from the avionics input. Both mono and stereo cellphones (musicphones) are supported. Musicphones combine the cellular telephone functions with stereo music. ASX-2A and ASX-2B, packaged in a D-SUB 25 connector shell. 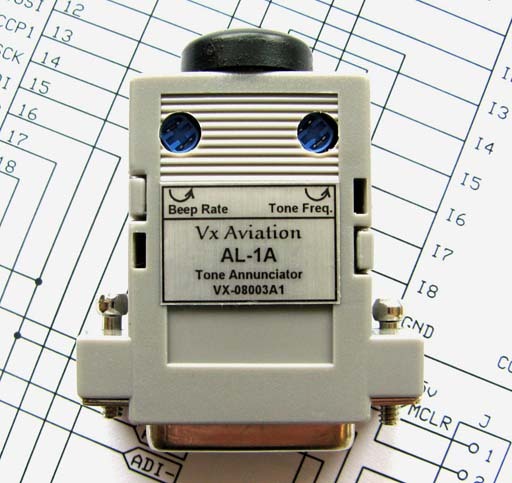 The AL-1A device is a tone annunciator for aircraft applications such as stall or oil pressure warning systems. It senses either high-level or low level inputs from switches or sensors and generates a pulsed (beeped) tone in the aircraft audio system. Tone frequency is adjustable from about 400 Hz to 4 KHz, and the beep rate is adjustable from about 1 Hz to 10 Hz. 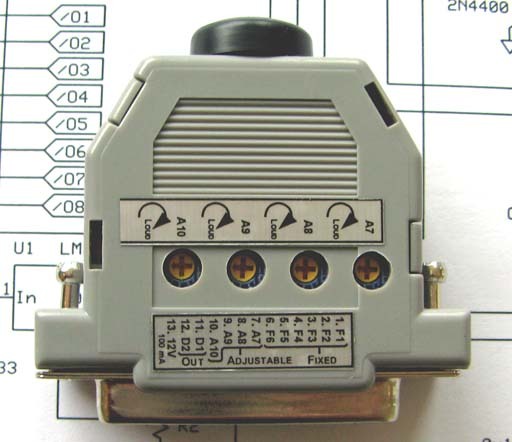 The inputs have 2 kOhm pull-up or pull-down resistors to provide wetting current to external switches or sensors. Wetting current helps to keep switches and relay contacts clean by providing a small amount of current that burns off contamination. Usually, only one sense input (SN or SP) is used at a time. SN is used for sensing inputs that are grounded, while SP is used for sensing inputs that are switched to +12 volts. It is also possible to use both inputs to sense two separate circuits-- one low going (grounded) and the other high going (+12 volts). The tone will sound if either input is activated. This design will only work for 14 volt electrical systems, due to the limitation of the CMOS component.